An infographic takes a large collection of related information and presents it in an easy to follow and understand visual. When looking to help a ASI sell their fire containment kits, there was a ton of valuable information, that by itself was compelling, but dry. An infographic proved to be a great presentation tool that the salesmen can use to help further drive home the need for their product. 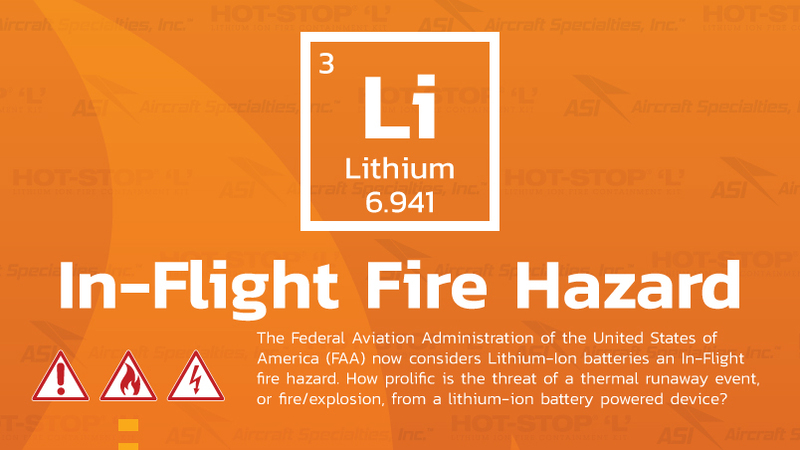 In the world of aviation, lithium-ion batteries are a fire danger that has recently come under review. 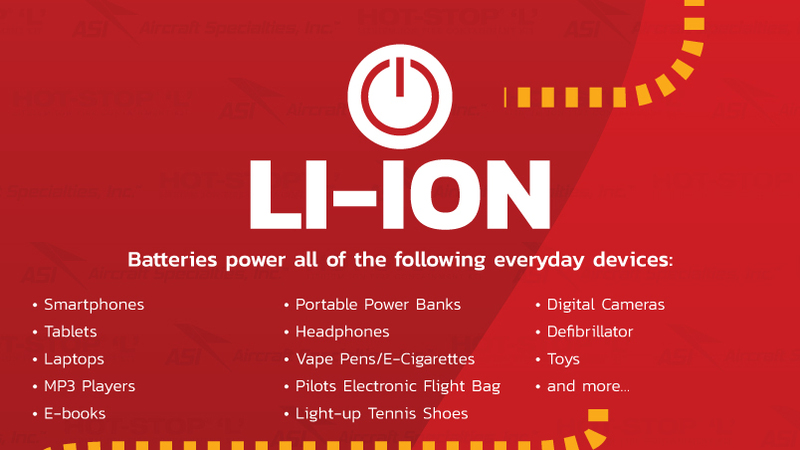 The FAA now asks passengers to keep all Li-Ion powered devices nearby, but why? 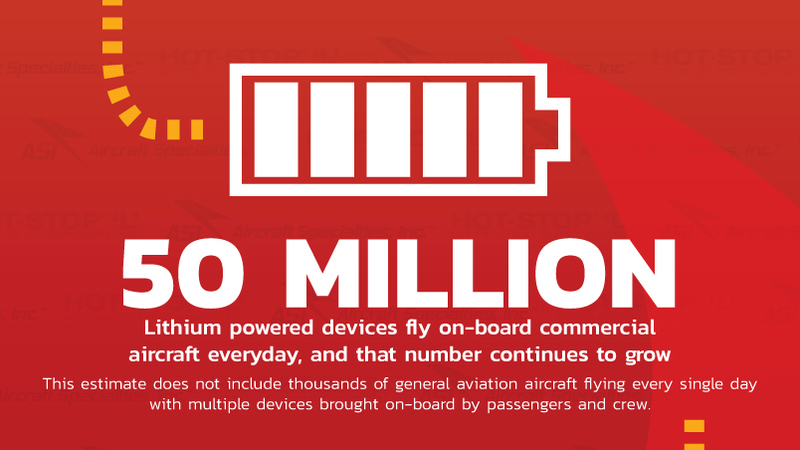 These devices pose a serious fire danger to the aircraft we ride in everyday! So it makes sense that they make these announcements on commercial flights and in air ports. What about general aviation? Or the subset of that, business aviation? The threat of fire or even explosions are still there and very real. 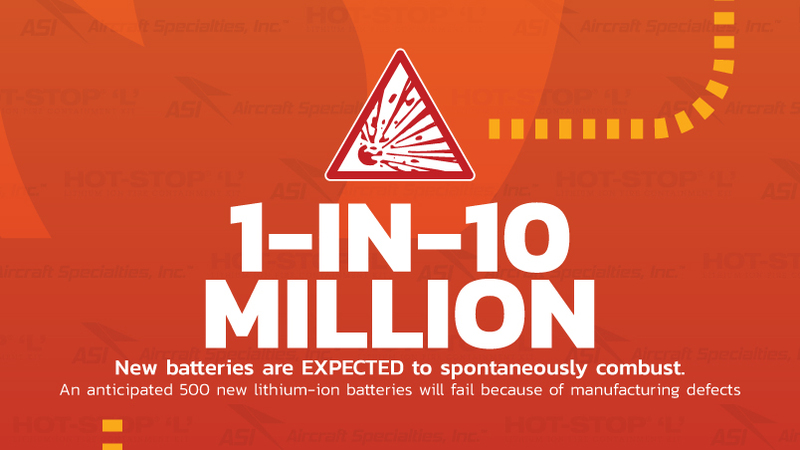 There are new reports of incidents involving Li-Ion batteries almost everyday. 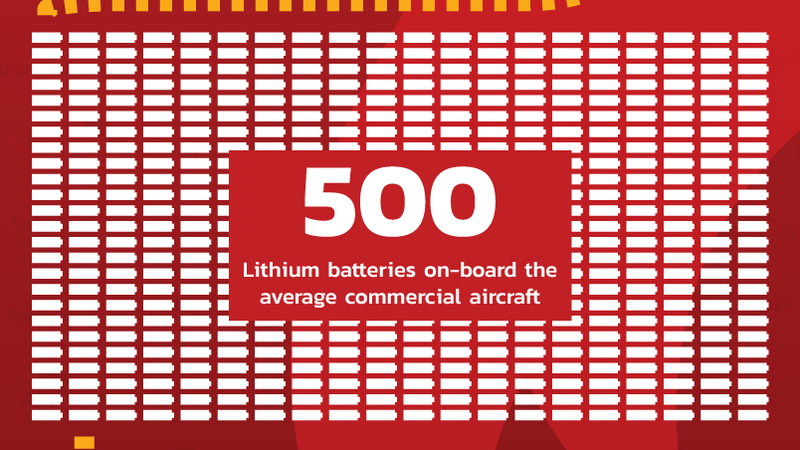 The numbers of batteries in the skies is quite mind boggling. 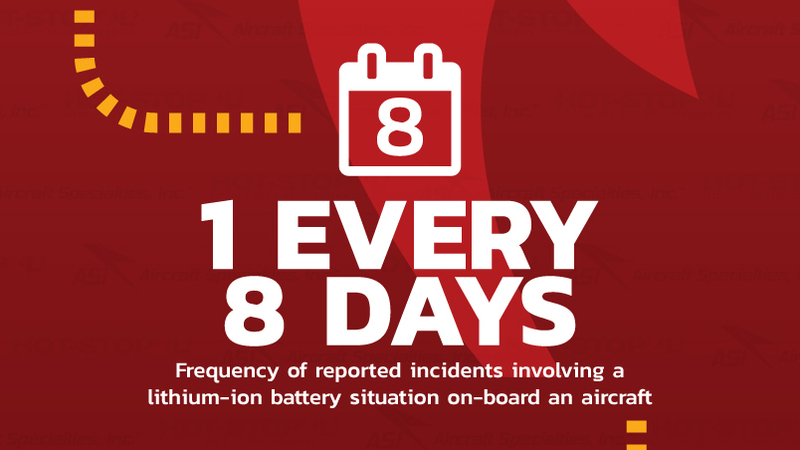 There has to be a way of taking a good segment of these data points and putting them all together in a single place that is easy to present to potential general aviation customers. The target audience for the demographic is owners/operators/directors of maintenance at flight charter companies. Basically anyone in charge of the safety, maintenance, and airworthiness of general/business aviation aircraft. Whether it is a single airplane or helicopter or a fleet of Learjet or new HondaJet aircraft. 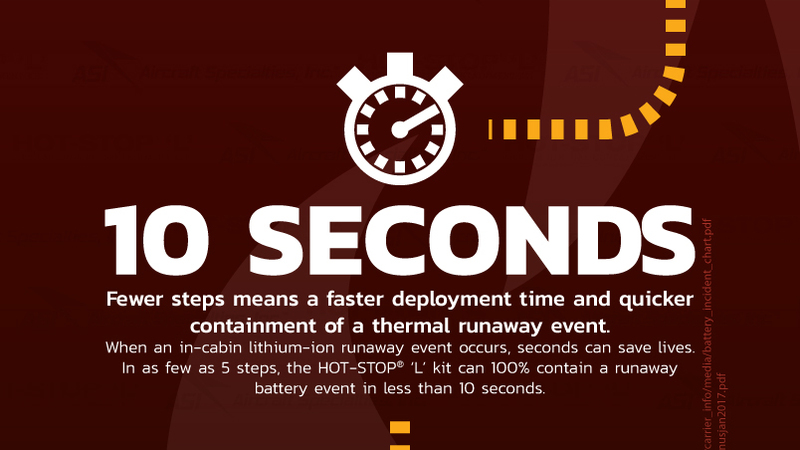 If you are the decision maker regarding the repair or maintenance of your aircraft, this infographic is intended for you. 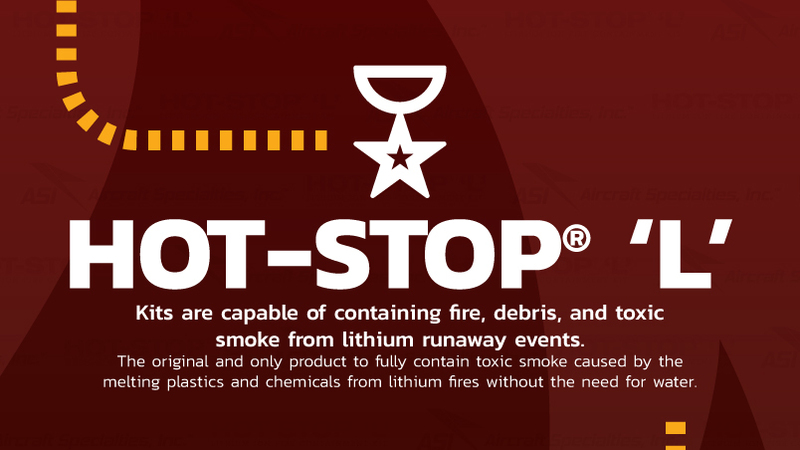 The infographic is presenting information pertaining to a very specific product, HOT-STOP® ‘L’ Lithium-Ion fire containment kits. 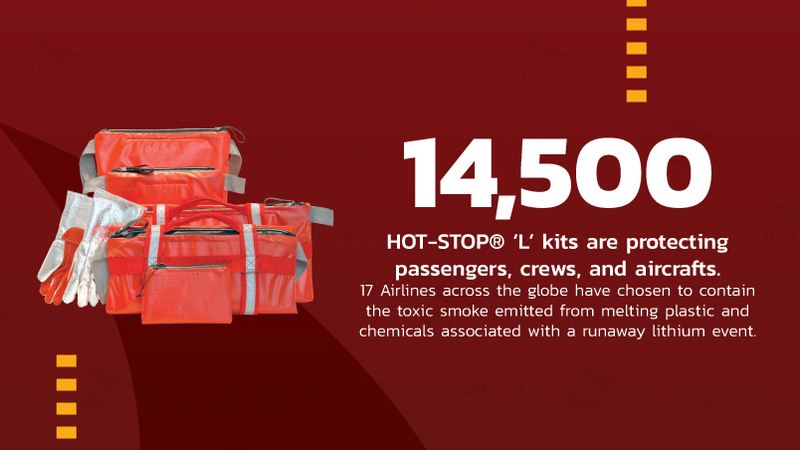 These kits were specially designed for use in aircraft of all variations. They are quick to deploy and easy to use. The theme I chose was fire safety. I chose a warm color palette, consisting of reds, oranges, and yellow. All colors associated with flames and fire. A contrasting bold white font to stand up off the background and I incorporated a flame design into the background to add visual interest while not taking the focus away from the data. The data points begin very broad in scope and as the infographic continues further, the data points become much more laser focused in scope. This allows the reader to begin from the aviation industry a far and finish right down to a single flight that they could possibly see themselves or their clients on. This organization is intentional allowing someone to become more invested as they read on. 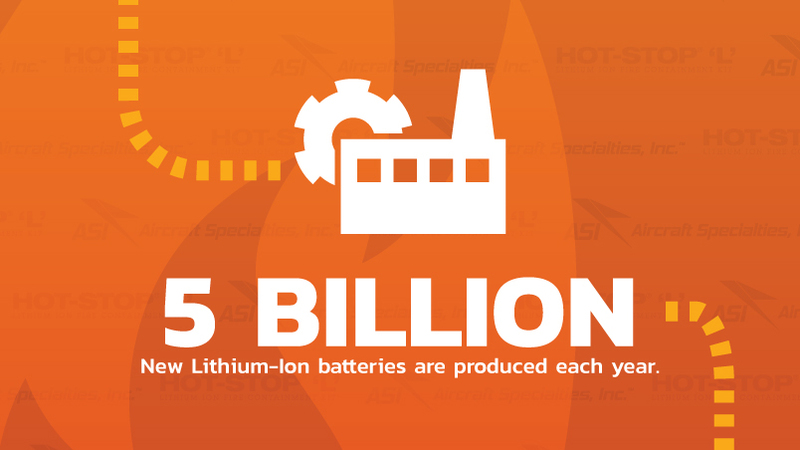 The infographic is made to sell a product by a specific distributor. Therefore, I wanted to co-brand the infographic equally. I added an offset pattern to the background that contained both the product and distributor logos. This worked to help add texture to the background, watermark the image so it could not be used without credit, and reinforce both the product and distributor. In addition to the information received from the product manufacturer, I sourced additional information and sources for the manufacturer’s data from reputable 3rd party organizations to add credibility to the infographic and it’s many data points. I added the URLs to the image and while they cannot be clicked, they can be retyped and verified by anyone wishing to do so. 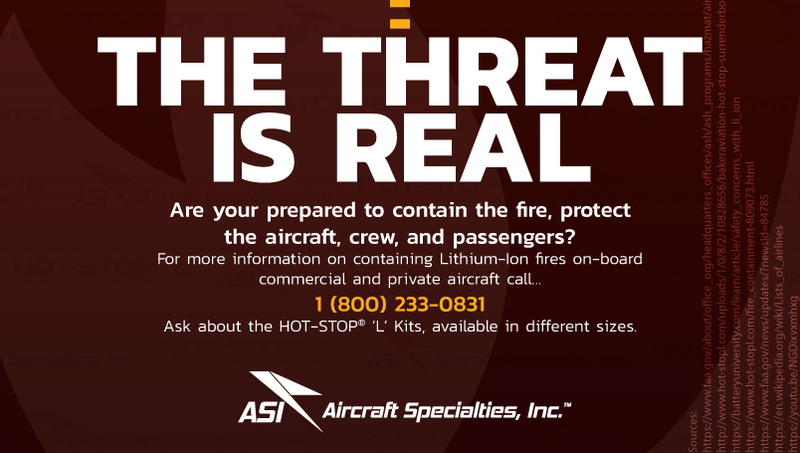 The most prominant and credible source being the Federal Aviation Administration (FAA).